We are seeking a full-time (Tuesday- Saturday) Parts Technician to serve as our back counter parts attendant. Primary area of responsibility will be shipping, receiving and tracking parts for our mechanics. Preference will be given to an applicant with an understanding of agricultural equipment, however, other qualifying experience will be considered. Our company offers a positive work environment and is looking for someone who works well with customers, is self-motivated and thrives within a team environment. We offer an excellent wage and benefit package for the successful candidate. We would like to thank those who apply for this position, however, we will only be contacting candidates we will be interviewing. For today’s Maintenance Monday, Shane discusses how to effectively grease your loader. 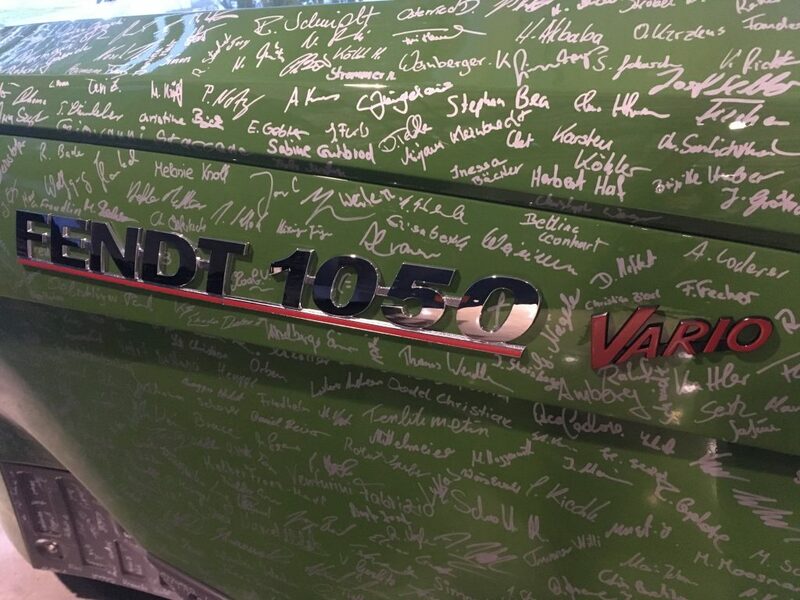 “I sign my name for my work because my name stands for real Fendt quality.” – signed by the builders of the first Fendt 1000 series. 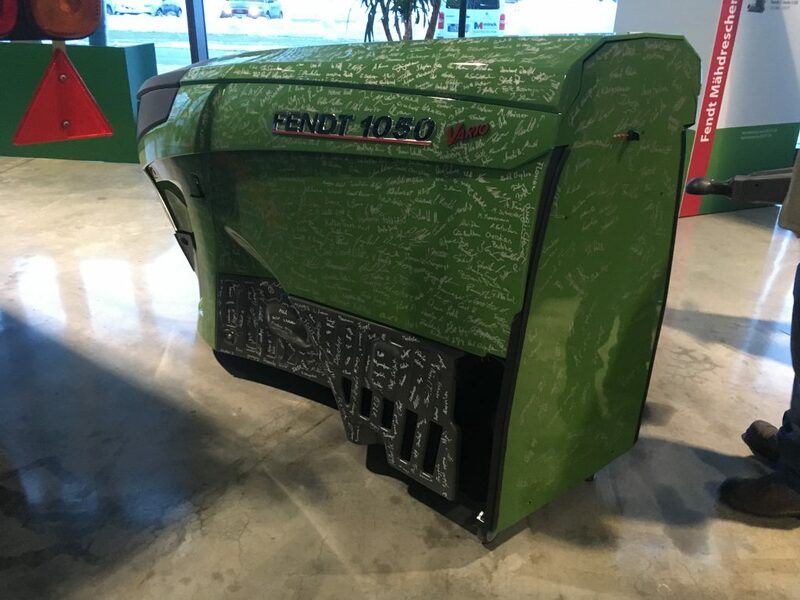 That is what this model 1050 reads- it is on display at the Fendt factory in Marktoberdorf, Germany. This photo was taken by one of our service guys while there for some Fendt training last week. What an awesome experience to see the pride and workmanship behind these fantastic machines! On this week’s Maintenance Monday episode Shane has a few quick pointers to keep your conveyor operating smoothly. When the temperatures drop, fuel lines can freeze up easily. For this week’s Maintenance Monday Shane discusses fuel conditioners. Here’s a quick clip of a Fendt 1038 demo Sam did a couple of days ago. Hard to believe it’s almost the end of December and we are still able to be out in the fields tilling! We’re so fortunate to have such a great Hanlon team and family! Allison Hebenik, Ken’s wife, was so thoughtful and brought us all homemade baked Christmas treats today. Thank you for all of the effort you put into the cookies Allison! They are delicious! What a nice surprise yesterday to receive these beautiful wreaths and poinsettia’s from our friends at DeVry Greenhouses out of Picture Butte! 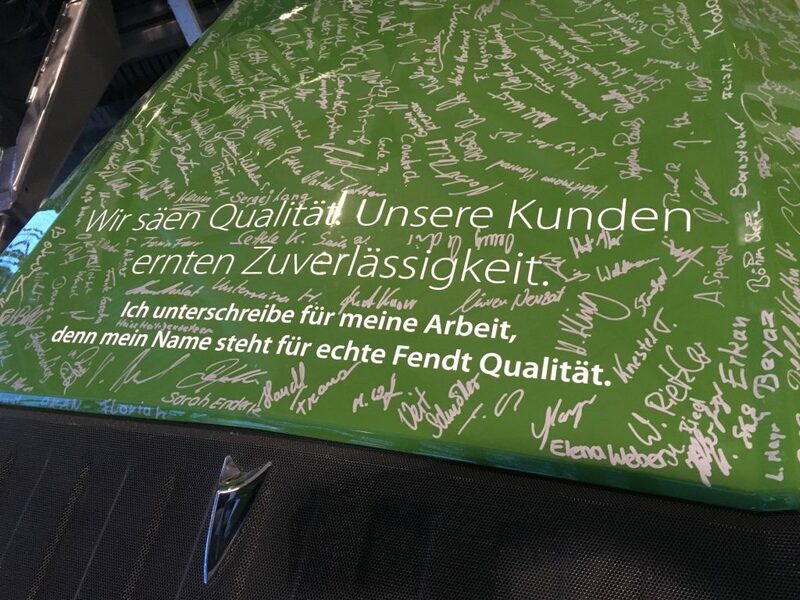 They had one for each of our employees! Everyone was very grateful and thankful to be thought of this holiday season. Merry Christmas! Maintenance Monday- December 17, 2018 The colder months are approaching quickly and you don’t want your block heater failing on you when you need your equipment. This week Shane runs through a few quick checks you can do to make sure your equipment fires up in the freezing temperatures.